I write in response to the op-ed by Canada’s consul general challenging the views of an Oregon mill owner harmed by subsidized Canadian lumber (“In defense of Canada’s softwood lumber trading,” Aug. 24); see also “Fair trade is a jobs issue,” Aug. 4. It is true that sawmill industries have a long history in both Oregon and Canada. But the similarities end there. For 30 years, the United States has voiced serious concerns about Canada’s timber pricing system, in which the government sets the price of wood rather than relying on the market. Because Canadian mills sell much of their lumber in the U.S., when the Canadian government sets its timber prices too low, as it frequently does, that translates into serious market distortions that could cost Oregon jobs. Canada’s international trade minister says anti-trade sentiment in the U.S., whipped up by Donald Trump and others, has made getting a deal on softwood lumber “fiendishly” complicated. 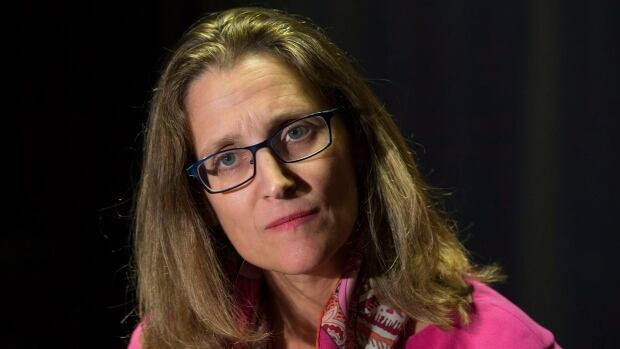 “It’s a tough issue and there are some significant differences between the U.S. and the Canadian position, but we are working very, very hard,” Chrystia Freeland said in an interview with Chris Hall on CBC Radio’s The House. The Toronto-area minister said she would be meeting with her American counterpart, U.S. Trade Representative Michael Froman, on the margins of the G20 meeting in Hangzhou, China, on Sunday to discuss the softwood lumber standoff. After years of talking and hand-wringing, those who care about the Cowichan River have to overcome the obstacles and raise the dam. The Cowichan is world-famous for its trout and steelhead fishing. It has been declared one of Canada’s Heritage Rivers. It sustains life and jobs in the Cowichan Valley. It deserves better from us. ..For the first time, Catalyst Paper, which relies on water for its mill in Crofton, is spending $500,000 to install 20 pumps at Lake Cowichan in case it has to pull water out the lake to maintain the river. Without enough flow, 600 jobs at the mill are threatened. If the company fires up the pumps, they could draw down the lake level by 58 centimetres over the 49 days they would be allowed to run. It’s more likely, however, that the level would drop only about 30 centimetres. Catalyst says it’s a temporary solution. And so it is. Getting better access for value-added wood products in Asia and the U.S. is a big part of a new B.C. government wood industry competition strategy. The strategy includes seeking exemptions from trade quotas for specialty lumber and wood products in a new softwood lumber agreement with the U.S., which expired last fall. A pilot project is proposed to help smaller value-added producers market in the U.S. …According to customs data reported last week by Seattle-based Wood Resources International, Canada’s wood exports by value were down 18 per cent for the first six months of 2016, with a shift to U.S. sales in the absence of a softwood lumber quota. journalist Peter Kuitenbrouwer wrote in a Financial Post profile last year. After almost a year of uncertainty in Hornepayne, Ont., a new owner has closed the deal to purchase the idled lumber mill in the community. The mill, formerly owned by the Olav Haavaldsrud Timber Company, shut down in November, 2015, leaving 146 people out of work. Hornepayne mayor Morley Forster told CBC News he was pleased to get a call from Ontario’s Minister of Natural Resources and Forestry, Kathryn McGarry, with the good news.”I was very happy to hear that the sale had gone through, and that we were looking at the light at the end of the tunnel quite brightly now,” he said. Forestry giant Resolute Forest Products Inc. has hit a setback in its high profile, ongoing defamation suit against Greenpeace and two of its activists. Resolute is suing the environmental activist organization for damages of $5 million, in addition to punitive damages of $2 million, after it published a report about the company’s logging practices in Ontario and Quebec, which Resolute says contained false and misleading information — some of which Greenpeace retracted and apologize for in March 2013. Last week, the Ontario Superior Court dismissed what it described as an attempt by Resolute to “greatly expand the scope of the litigation and transform the trial into an inquiry into Greenpeace” as part of an appellant decision initiated by the organization. BAILEYVILLE, Maine — This faded mill town perched on the American side of the St. Croix River is actually one of Maine’s lucky ones: It still has a mill. 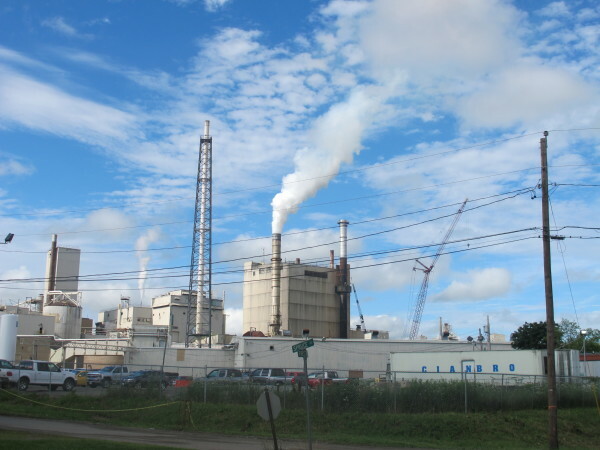 Better still, just this year the mill has expanded, adding tissue production to its portfolio and 80 jobs with its new division, St. Croix Tissue, to its roster of employees. The mill’s pulp production side, Woodland Pulp, employs 320 people. The mill’s current owner, Hong Kong-based International Grand investment Corp., spent $150 million to purchase and bring online on two new tissue machines — work that lasted for more than two years since the expansion was announced in March 2014. Forestry assets have raked in more than $3 million for the Mackenzie District Council in the past year. The sale of carbon credits has been the driving force behind the bumper profit, according to Forestry Board chairman Graham Smith. In the year to June 2016, the council’s Forestry Board recorded an income of $3,505,684. It recorded $69,403 in expenses, giving it an operating surplus of $3,436,281. That was in addition to the $1,353,086 the board already had in capital reserves. “We’ve had a very, very successful result from forestry this year,” Smith said. The board had “two sides” to its work now- logging and carbon credits, he said. 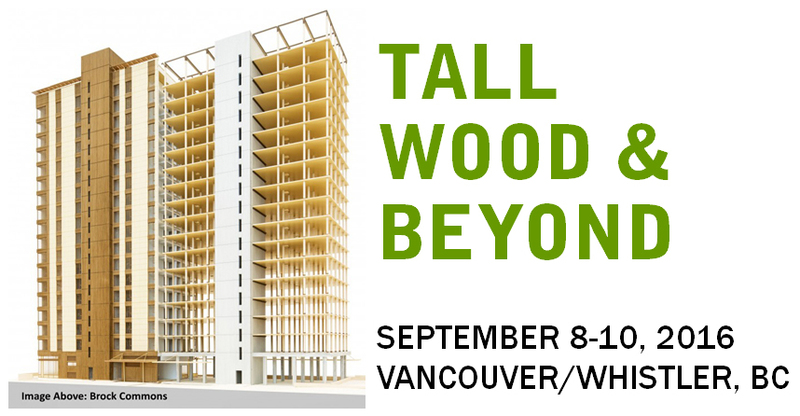 BC Wood is pleased to invite US based PNW architects to attend an exciting new event “Tall Wood and Beyond” as part of this year’s Global Buyers Mission. Tall Wood and Beyond tour will be held on Thursday, September 8, 2016 and was developed specifically to educate Architects, Contractors and Engineers on mass timber construction options and provides an excellent opportunity to not only learn about mass timber products, but actually see them under construction and in use. Brock Commons, located on the campus of the University of British Columbia in Vancouver, BC is currently under construction and when completed in early 2017, will be the tallest hybrid wood construction building in the world. Dartmouth’s Main Street could soon be home to an innovative, environmentally-friendly wood building — all part of the city’s revitalization plan. On Friday, Atlantic Wood Works announced the development of Garden View, a six storey mixed-use building. It’s the first building planned for a project called Reinventing Main Street that is looking to provide affordable housing for seniors and families in HRM. Architect Tom Emodi is responsible for designing two of the five buildings that will make up the 20-year project. The building is being pegged as sustainable and innovative thanks to its key material. “The coming age is the age of wood,” he said on Friday. by American Wood Council President & CEO Robert Glowinski. The community of Sandy Springs took an action to ban wood construction in buildings more than three stories in height and larger than 100,000 square feet under the guise of building safety. It had nothing to do with safety and everything to do with limiting development. The American Wood Council had sent information to the city directly addressing what now appear to be, at best, surrogate reasons for their action which were totally ignored in a process that appears to have been predetermined. The city’s decision lacks any substantive technical basis and can be seen for what it is – simply a means to slow-down growth and development. The Government of Antigua & Barbuda may not have to review laws or building codes to address the reduction or suppression of fires on the island, according to the former project manager of Caribbean Uniform Building Code, Tony Gibbs… There’s been widespread debate about the issue of fire prevention after 41-year-Gayan Williams and her three-year-old son Jaydan, died after an electrical fire occurred at their Jennings home on August 24… Some residents are also of the view that wooden structures have largely contributed to the increase in fires, saying that the country should move to building concrete homes in order to reduce the incidents of fires. However, that argument did not sit well with architect and project manager Colin John Jenkins. Could Composite CLT be the Next Big Thing in Australia? 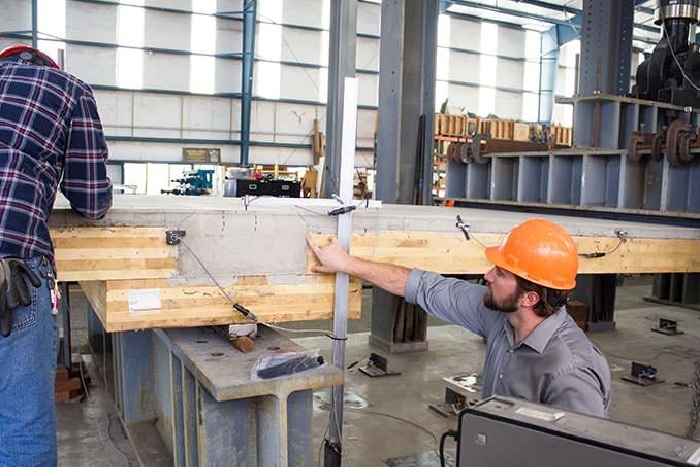 Composite flooring systems consisting of cross laminated timber with reinforced concrete have significant potential for use in multi-storey buildings such as offices, hospitals and schools throughout Australia, according to a leader within the engineered timber sector in Australia. Following tests in the US in which a flooring system involving a cross layered timber deck topped with a thin layer of reinforced concrete was shown to support loads of around eight times what is required by code in that country, XLam technical manager Nick Hewson says there are opportunities to use similar types of systems in Australia. Hewson says concrete and timber work well together as an efficient way in which to structure the form of floor spans, with one working in compression and the other in tension. Tree lover Ira Sutherland thinks Metro Vancouver should do a lot more to showcase the giant trees in a large North Shore recreational area called the Lower Seymour Conservation Reserve. Sutherland, who has a masters in forest ecology, said he will suggest putting up viewing platforms when the region hosts an open house at Capilano University’s Sportsplex Gym on Sept. 24 from 10 a.m. to 1 p.m., to talk about the area’s future. “The public loves these big trees. They are spiritual and uplifting. There is something timeless about an old forest. Trees seem to lend themselves to the limits of the earth,” said Sutherland, 31, whose website vancouversbigtrees.com tracks green giants in the Vancouver area. 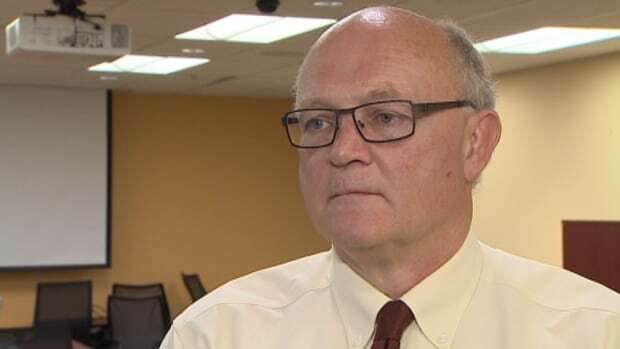 Nova Scotia’s chief public health officer Dr. Robert Strang is firing back over health concerns surrounding the province’s approval for the application of a controversial herbicide. Last week, Nova Scotia Environment gave the green light to Northern Pulp and three other companies to spray more than 2,600 hectares of woodland in Colchester, Cumberland, Hants and Pictou counties with VisionMax, which contains the chemical glyphosate. … On Friday, Strang issued a statement saying that there is “no evidence” that glyphosate creates a risk to human health if used properly. “Even water can be toxic if too much is consumed in a short period of time,” he said in the release. The driver of a fully-loaded logging truck was killed Friday morning after the truck rolled down a steep embankment on the Elk River Forest Service Road near Fernie. The truck was 30 kilometres up the logging road when the crash happened at 6:20 a.m. Emergency crews are at the scene of the crash, attempting to remove the driver’s body from the vehicle. “Ongoing efforts to extricate the driver are currently hampered due to the danger that the terrain at the accident scene poses,” said Sgt. Annie Linteau of the RCMP in a press release. 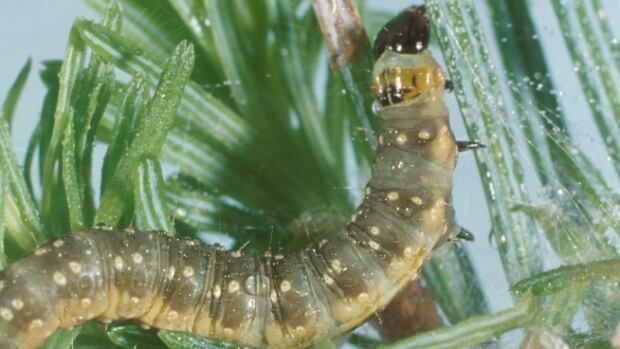 A spruce budworm outbreak in Quebec could kill off trees spanning an area the size of New Brunswick in the next few years and fuel more forest fires, according to Natural Resources Canada. Yan Boulanger, a research scientist with the Laurentian Forestry Centre, said the impact of the budworm is most severe on Quebec’s North Shore, followed by the Saguenay-Lac-Saint-Jean and Gaspesie regions. He added that the budworm has also been seen in New Brunswick. “That’s the fear, that it will spread to New Brunswick and the Acadian forest,” Boulanger said. The provincial government turned to its top health official on Friday in an attempt to allay public concerns about planned pesticide spraying in Halifax County and Colchester County forests. Earlier this week provincial Environment Minister Margaret Miller signed off on a request from Northern Pulp to spray VisonMax, which includes glyphosate, in more than 1,300 hectares of forest. The herbicide keeps hardwood from making its way into softwood stands. The approval has met harsh criticism, particularly from people who live near areas marked for spraying, and an online petition is calling on Miller to reverse her decision. Ever since collaboration became the mantra for many of Montana’s conservation groups, a strange dynamic has existed that paints other conservation groups that litigate over forest projects in a very unflattering light. Called “serial litigators,” “environmental extremists” and worse, the lawsuits are often filed to protect habitat for wolverine, lynx, grizzly bears, fishers and other “non-game” species. …. The project that finally drove the Montana Backcountry Hunters and Anglers, the Montana Wildlife Federation, Anaconda Sportsman’s Club, Helena Hunters and Anglers Association and the Clancy-Unionville Citizens Task Force to file a lawsuit is located on the Helena-Lewis and Clark National Forest. There have been a number of articles, letters and op-eds about the Mental Health Trust plans to harvest timber from portions of its Deer Mountain and Petersburg properties if our Congressional Delegation is unable to enact legislation to exchange these parcels for timberlands elsewhere. Rhetoric from the usual anti-development critics about saving Deer Mountain and destructive logging is disingenuous. The past harvests in the region have not harmed fish or wildlife habitat and the extensive road system that the logging established has greatly benefited the local communities and has provided enhanced recreation and tourism opportunities. The Great Alaska Logging show near the docks in Ketchikan is a major tourist attraction and a helicopter partial cut on the slopes south of town will not harm our tourism industry. A wildfire ignited just two miles west of Crater Lake on July 28. Spurred by hot and dry conditions, it spread through an area already charred by fire 10 years ago, burning leftover fuels of dead vegetation and trees, hurling embers that created a spot fire within the caldera itself. The Pacific Crest and Rim trails within Crater Lake National Park were closed. The Rim Village, showered with ash, was placed on a Level 1 evacuation notice. Fortunately, cooler temperatures enabled firefighters to contain the Bybee Creek fire before it could spread further. No lives or structures were lost, but the 1,072-acre fire is another reminder of the threats posed to Crater Lake and nearby national forests. UNITY – The nine forest specialists had expected to drive into the Wallowa-Whitman National Forest on a kind of a rescue mission. They never made it that Monday morning in August. Instead, they had to watch as wildfire swept through the very woods they hoped to save with their research. The Rail fire raged for days – the kind of wildfire that forest officials warned would happen without an aggressive effort to thin trees and clear forest deadfall. Now, a month later, crews are close to corralling the fire after it scorched more than 41,000 acres in the basin of the South Fork Burnt River west of Unity. 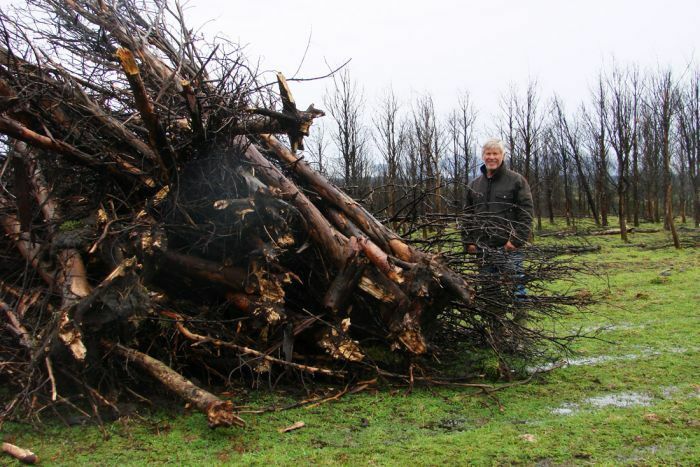 Lynton Manley has thought a lot about uses for dead and dying eucalypt plantations on his farm in Tasmania’s north-east. Mr Manley suggested it would be a fantastic set for a film about the end of the world. “Plantation Armageddon,” Mr Manley quips, as he points to hectares of leafless trunks, all about five metres high. And yet his property, Icena, is wonderfully scenic, with a boundary along the Musselroe River and the edge of the Mt William National Park. “The good trees, obviously we’ll leave those in, and hope they grow into something,” Mr Manley said. “The others, we graze cattle while we’re tearing them out, which will probably go on for a few years, I’d say. The Forest Industry Contra-Emctors Association is calling for industry and government to cooperate to provide wood supply information to improve short and medium term planning. FICA President, Ross Davis says, “It’s no use politicians proclaiming regional log shortages without specific details, as every regional has different drivers. But it would be useful for wood sellers and buyers to have timely information about supply changes.” Davis says the information would result in better business planning. This would benefit both industry and government, coming together to monitor and report ‘near-term’ wood supplies by region because: It is not useful for politicians to make unfounded claims about wood being exported or harvested prematurely. Owners of forests are free to sell their resources to any market. As the eyes of the world move away from the medals table in Rio, for those of us in the sustainability business our focus shifts to Honolulu for the World Conservation Congress. Like the Olympics this is a big deal. Meeting once every four years, it is hosted by an affiliate of the UN, the International Union for Conservation of Nature (IUCN). World leaders, CEOs and NGO bosses will be there, including a well-known American politician who’s entering the final phase of his time in office and just happened to be born in Hawaii. But let’s put farewell tours aside for a moment. There are important issues on the agenda with a focus on improving the management of the natural environment for human, social and economic development. Temperatures dipped into the 30s and 40s early Monday in the Lowman area and were accompanied by rain, helping firefighters battling the Pioneer Fire. The fire’s southern half, primarily below Banks-Lowman Road, was affected the most by the changing weather conditions. About .014 inch of rain fell around Charlotte Gulch. Firefighters worked Monday to advance efforts north of Banks-Lowman Road. Crews worked to push the fire into a scarred area of the 2006 Sheep Trail fire to keep the blaze south of Forest Service Road 579. 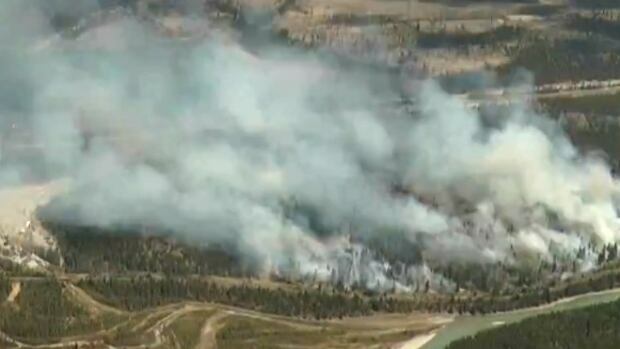 SEIAD VALLEY — The Gap fire has reportedly destroyed two more structures. Whether those structures, which were destroyed in the area of Hick’s Gulch on the Klamath River’s north side, were homes was not immediately available. No homeowners have been injured, according to fire information officer Mike Theune. That brings the total number of structures destroyed to 25. Of that number, nine of the structures have been confirmed as homes by the Siskiyou County Sheriff’s Office, while 14 others were outbuildings. The wildfire, which has been burning in the Seiad Valley since Sunday, Aug. 27, had grown to nearly 26,000 acres by the morning of Monday, Sept. 5. Cooler temperatures and expected rain in the next few days will likely help firefighters working both the Agnes Lake fire south of Butte and the Nez Perce blaze east of Elk Park. Located 11 miles northeast of Butte, the Nez Perce fire is at zero containment but has not grown since Friday, continuing to burn 687 acres as of Saturday. The high Sunday is expected to be 50 degrees Fahrenheit, and there is a 50 to 100 percent chance for rain in Butte, according to the National Weather Service. A winter weather advisory will be in effect from noon Sunday until noon Monday for areas above 6,000 feet, improving conditions for firefighters. Spanish firefighters are still working to bring under control a forest blaze near Valencia that forced the evacuation of around 1,000 people. Authorities said more than 200 firefighters with 65 vehicles were deployed Monday to the wildfire some 350 kilometers (220 miles) southeast of Madrid. The temperature in the area was forecast to reach 36 degrees Celsius (96.8 Fahrenheit), but officials were hoping a stiff wind that has fanned the flames would drop. It looks like a giant waterbed, covering an area the size of four football fields and surrounded by a chest-high concrete perimeter wall. As Donald Trump might say, it’s huge! And like the wackadoodle U.S. presidential candidate, this massive vessel, constructed next to West Fraser Timber’s Slave Lake Pulp mill, is also full of gas. In this case, biogas. Technically, the big waterbed is known as an anaerobic digester. It’s a reactor in which micro-organisms called methanogens — the same kind of bacteria found in our stomachs — break down organic waste in the mill’s effluent, in the absence of oxygen, to produce methane.